Here’s just a little bit more information for Governor Lee to consider if he’s thinking about more meetings with AMAC members. 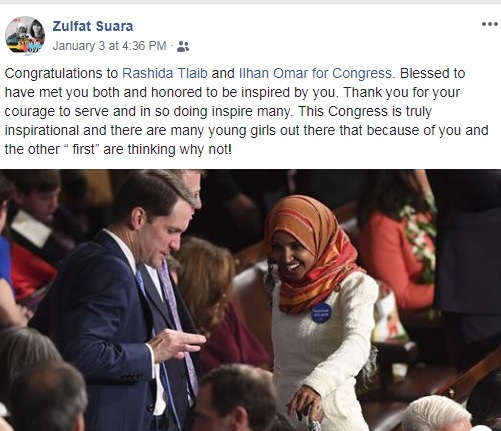 Zulfat Suara, the chair of AMAC has chosen to embrace known anti-Semites Linda Sarsour, Omar Ilhan and Rashiba Tlaib. And this is not the first anti-Semitic trope tweeted out by Omar. Even pathetic Pelosi condemned Omar’s comments finding them “deeply offensive” and called on her to issue an apology. Rashida Tlaib is no better, making no effort to hide her anti-Semitism including tweeting out an age-old slander used against American Jews about dual loyalty with regard to Israel. Add to this her passionate support for the Boycott, Divestment & Sanctions (BDS) movement against Israel. Natan Sharansky, a well-known former Soviet Jew and human rights activist, spent 9 years in a Siberian gulag. Upon his release, he immediately became an Israeli citizen, and eventually served in the Israeli Knesset. 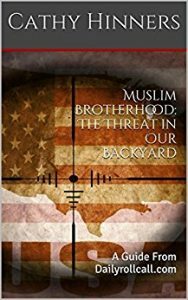 One of his duties was to monitor anti-Semitism. Zulfat has embraced these women as politicians she seeks to emulate as she herself runs for a Metro Council at-large seat. We’ll watch to see if Governor Lee takes a third meeting from the group Zulfat leads. Gov. Lee says he represents all Tennesseans but I betcha that Zulfat and her AMAC members voted for Karl Marx Dean to represent them. He better master the political game quickly or he’ll be eaten by the sharks swimming in the Legislative waters.